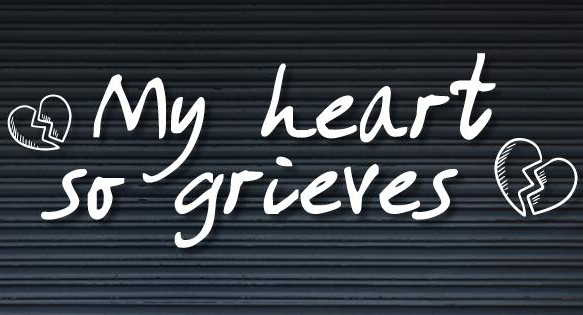 The Marais Project: My Heart So Grieves. A Prelude in Tea Concert. Sunday January 28. Join us on January 28 as we launch into 2018 with a summer afternoon tea and a concert from two of the Independent's favourite ensembles, the Marais Project and Elysian Fields. 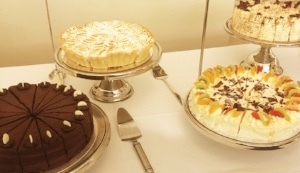 Afternoon tea served from 2:30pm. When The Marais Project and Elysian Fields, both under the leadership of viola da gambist, Jennifer Eriksson, appeared side by side at The Independent in 2017, audiences and critics alike gave rave reviews. Their 2018 return concert again features each ensemble playing its core repertoire. In the first half, The Marais Project and Dutch-born tenor Koen van Stade perform songs by John Dowland. After interval, in a truly unique juxtaposition, Elysian Fields, Australia's only electric viola da gamba ensemble, takes the stage to present a range of repertoire including Matt McMahon's 'What Should I Say - Four Poems of Thomas Wyatt ', gorgeous settings of four poems by Thomas Wyatt, a courtier to Henry VIII. The Marais Project's most recent CD,'Spinning Forth' launched just last month, was the featured CD last week on ABC Classic FM. Check it out at the ABC here. Or read the review here. 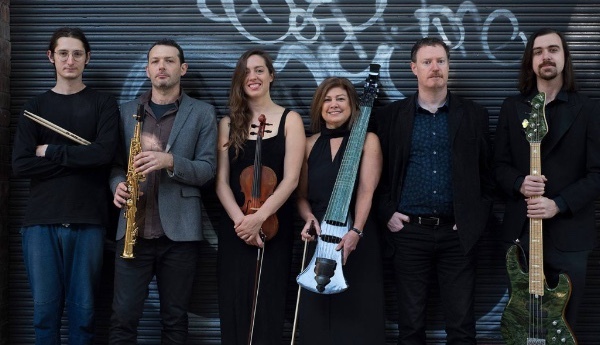 Founded by Jennifer Eriksson in 2000, The Marais Project is recognised widely as one of Australia's most innovative early music ensembles. They have performed widely aross Australia and released six critically acclaimed CDs including their most recent effort, 'Spinning Forth '. Elysian Fields is a collaboration between Jennifer and some of Australia's most acclaimed jazz musicians. The six piece group has rapidly gained a reputation for performances of rare beauty and subtlety that blur the boundaries between classical chamber music, jazz and world music. In 2017 they appeared at Vivid New Music at The Con, the Sydney International Women's Jazz Festival and recorded their first CD. 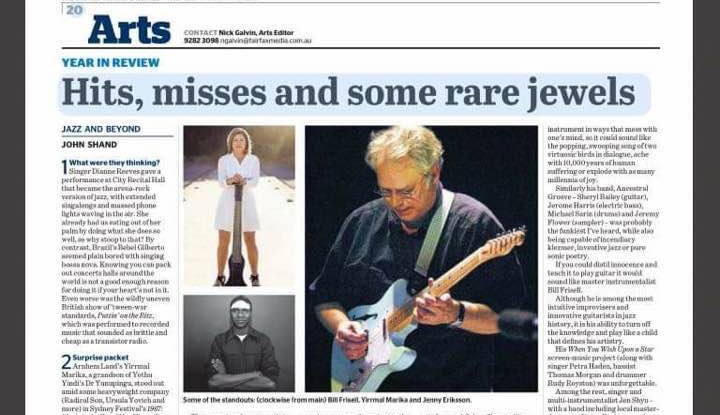 Elysian Fields has been singled out as a high point of 2017 Jazz by the Sydney Morning Herald's John Shand. Peruse the news here. If you have difficulty accessing the website, send an email to independent theatre@wenona.nsw.edu.au, with your name, the name of the event, and your phone number. A theatre staff member will contact you as soon as possible. Copyright © 2018 Independent Theatre, Wenona School, All rights reserved.